Seawater Intake Lines - Modification & Cleaning - Global Diving & Salvage, Inc. 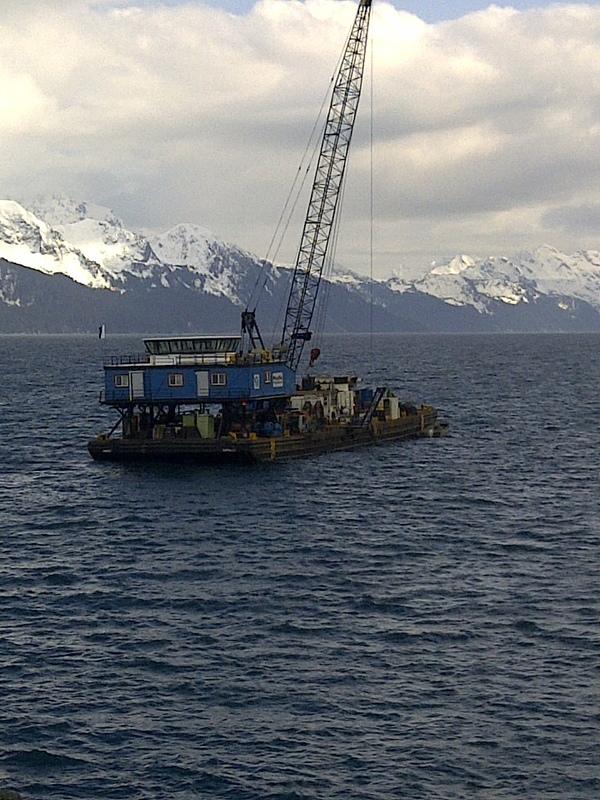 Global Diving & Salvage, Inc. was the prime contractor and project manager responsible for the modification and cleaning of the Alaska SeaLife Center’s seawater intake lines. The first phase of the project was to install a pig launcher system to facilitate intake cleaning. Tasks included dewatering the Center’s wet well, installing an isolation valve between the well’s chambers, and saw cutting new access holes in the pump room floor. The second phase of the project consisted of the dive crew cutting a 24-inch HDPE pipe and lifting it out of the soft bottom material to allow for ROV inspection inside the seawater intake pipe. The inspection was short lived; the pipe was found to be impassable due to heavy accumulations of marine growth and sediment inside the pipe. In order to clean the lines, several cleaning pigs were launched to remove the blockage. A new intake screen and support structure was installed, along with a remotely operated pig catcher. 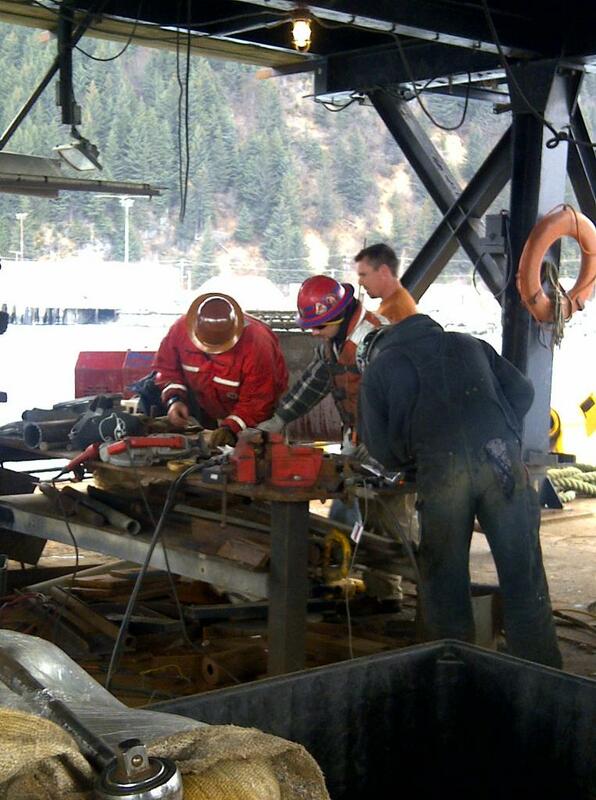 Dive crews worked off of a barge utilizing a 150-ton crane and four point mooring system for lifting that was strategically anchored over the buried intake support functions. 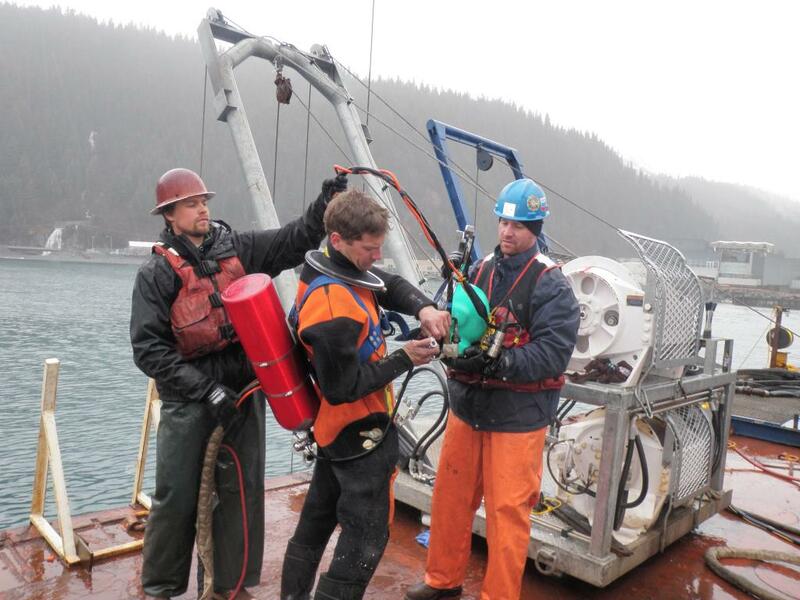 A deep gas dive system was utilized to accommodate dive operations in up to 260′ of seawater. The final quality control inspection was performed by an ROV flying over 200′ up the pipe to inspect for marine growth and debris to ensure the pipe was cleaned sufficiently. Once the pipe was inspected, the end of the intake was securely anchored and the intake screens were installed.